Emphasize a view’s “business hours” (aka “working hours”). 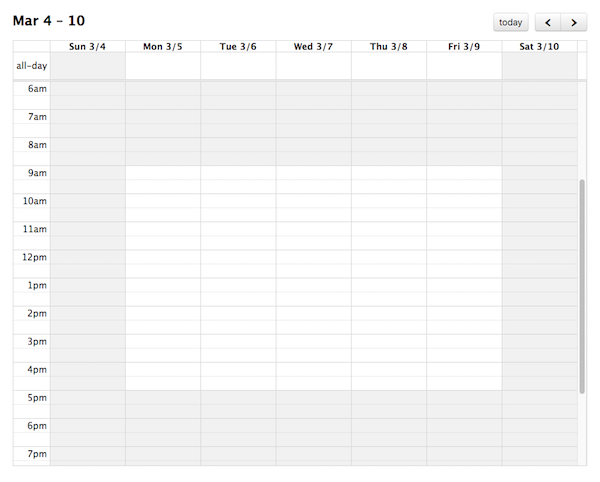 Emphasizes certain time slots on the calendar. By default, Monday-Friday, 9am-5pm.